There have been glimpses of the Sean O’Brien of old in recent weeks, without the full package being unleashed. After his latest luckless injury spell out, O’Brien has taken some time to find his feet but he now feels he is moving closer to the kind of form that made him one of the best flankers of his era. In terms of recapturing that best form for Leinster, O’Brien doesn’t need to be reminded that time isn’t exactly on his side, given his impending move to London Irish. The 32-year-old has a burning desire to make sure that his final few games in a blue jersey are remembered for all of the right reasons. Injuries to Dan Leavy and Josh van der Flier have further heightened O’Brien’s importance for the crucial end-of-season games and starting this afternoon against Glasgow Warriors, he is eager to remind everyone of his class, including Leo Cullen, ahead of next weekend’s Champions Cup semi-final clash with Toulouse. 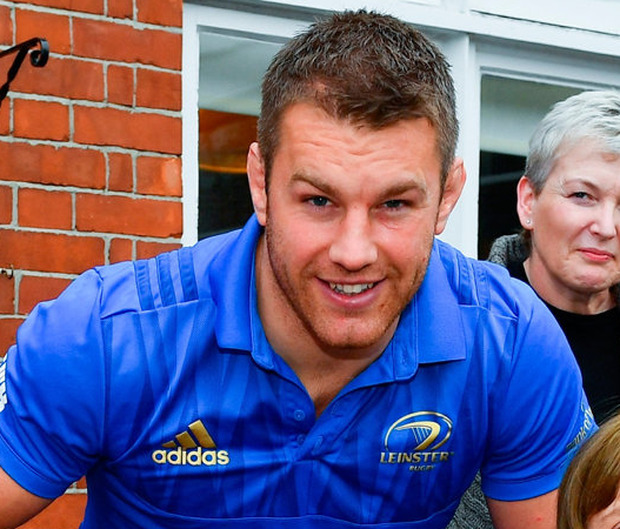 “There is hopefully a lot more to come from me,” says O’Brien, who captains Leinster today. “I kind of felt that I was in good form in the last two games. I was busy. I wasn’t going in and out of games probably as much as I have been in a few games this year. Given the ferocious manner in which O’Brien (pictured) has always played the game, one wonders how he continues to trust his body in the white heat of battle. It hasn’t always been easy, but the Tullow native has learned to channel any doubts or frustrations in the right manner. “It’s a difficult one because when you are out with long-term stuff and you’ve had a lot of bits and pieces fixed, you just have to be so patient with yourself,” he admits. “It’s a natural thing to get frustrated and whatever else. But you just have to trust the process and make sure you are doing everything you can to leave yourself in the best place possible when you go out onto the field. “You try and clear your mind as well and get back to what you do as best you can. While the improvements in O’Brien’s all-round game are becoming more and more pertinent, he is still waiting to re-establish that destructive force with ball in hand. Not that it is for the lack of trying, nor is it down to him altering his style of play, as he explains: “No, I haven’t (changed), no. It’s still the same for me. I would probably like to get my hands on a bit more ball, starting this weekend. Glasgow arrive at the RDS this afternoon looking to ensure that, like Leinster, they finish top of their PRO14 Conference and secure a home-final. All eyes will be on O’Brien’s latest performance as well as Robbie Henshaw (leg) and Devin Toner’s (ankle) welcome returns from injuries. “They (Glasgow) talk about being physical and brutal every week,” O’Brien adds. “We spoke about that element of their game this week and how we deal with that. Leinster – R Kearney; J Larmour, J Tomane, R Henshaw, D Kearney; R Byrne, J Gibson-Park; E Byrne, J Tracy, M Bent; D Toner, J Dunne; J Murphy, S O’Brien (capt), C Doris. Reps: S Cronin, C Healy, T Furlong, W Connors, M Deegan, H O’Sullivan, C Frawley, A Byrne. Glasgow Warriors – S Hogg; T Seymour, K Steyn, S Johnson, N Matawalu; A Hastings, A Price; J Bhatti, F Brown, S Cummings; J Gray; R Harley, C Fusaro (capt), M Fagerson. Reps: G Stewart, A Allan, D Rae, B Flockhart, A Ashe, G Horne, P Horne, H Jones.